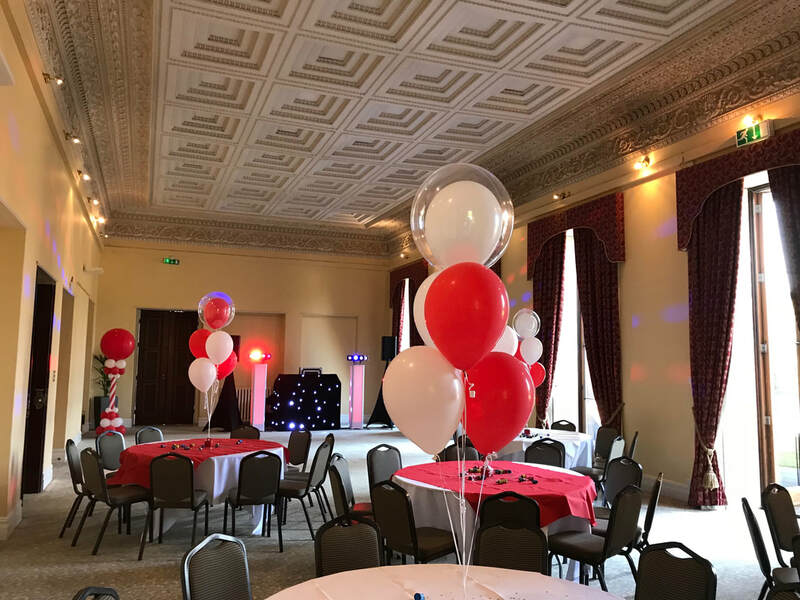 School prom decorations in the Bristol, North Somerset and South Gloucestershire. Let us decorate your School leavers balloon or School prom with stunning balloon decorations. We will also deliver and set up at your chosen venue. We offer a wide range of very popular balloon decorations for example the large foil numbers for the year giant 3ft exploding balloons, balloon pillars/columns, balloon arches and beautiful table balloon bouquets. We have a wide colour range of balloons or you can make and appointment to come and see us at our shop to help you come up with ideas for your themed event. We can also add chair covers, a starlight backdrop and even a sweet cart. Delivery and Setting up in the Bristol area.